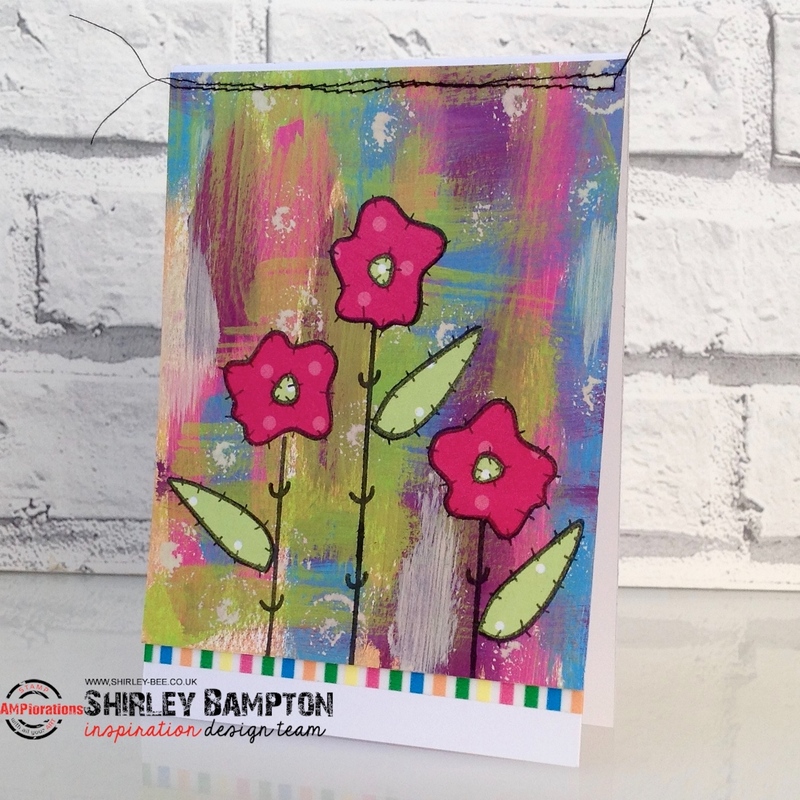 It's Inspiration Day on the STAMPlorations blog, and today I'm using stamps from The Bee's Knees Folk Flowers set. I dragged some Distress Paints over a piece of mixed media card, then once they were dry I stamped the flowers, stalks and leaves. I found some snippets of dotty paper and stamped the flowers, leaves and centres, fussy cut them and stuck them onto my card. A bit of stitching across the top, and a strip of washi paper at the bottom, and it's done! Pop on over to the STAMPlorations blog for more fabulous inspiration, and don't forget to leave a comment for a chance to win a $10 gift certificate.